While we at The ChildHealth Center, PA are committed to your child’s health and well-being, our medical practice must also operate as a business. Our operational expenses include payroll for staff, health insurance, medical malpractice insurance, vaccines, technology support, and typical utilities. Please understand that the prompt payment of your bill is part of your child’s treatment as it allows us to continue to provide all of our patients with the highest quality of care. Many patients find insurance coverage and financial responsibility issues complex and confusing. Because of this, we have outlined our practice’s billing and payment policies. Our hope is to help increase your understanding of why we do what we do and explain our expectations of you. Our payment policy is simple: We expect full payment at the time services are rendered. We accept payment by cash, check, VISA, Master-Card and debit cards. To many patients, payment in full simply means paying your co-pay. For others there may be a deductible or co-insurance due. Our staff will work with you to determine the amount due for each visit. We never wish to collect more than is due, nor do we wish to collect less than is due. Unfortunately, the task of collecting the right amount is not always easy. If we do not collect your balance in full, we will send you a bill. Sometimes it may take a few months from the date of the service to know how much additional you may owe. When you get the bill please pay the balance within 14 days. If we collect too much we will apply the credit to any outstanding balances (including balances of family members). If no balances are outstanding we will send you a refund check. As a service to you, we will file insurance claims for each of your insurance policies. You will need to furnish the practice with the necessary information. Please bring your insurance card (s) with you each visit. It should be understood that your insurance policy is an agreement between you and the insurance company to pay certain amounts for your medical care. Your physician’s bill is an agreement between you and your physician. You are responsible for full payment of your account, regardless of the status of your insurance claim. Insurance companies, including Blue Cross and Medicaid, have a schedule of fees that they will pay. Your physician’s fee may be more or less than the schedule of your insurance company. However, you are ultimately responsible for the full payment of your account and for questioning your insurance company about delays in payment and/or the amounts they pay. Why do I have to show my insurance card every time I come to see the doctor? In general we ask to see your insurance card at each visit to make sure we send the bill to the right insurance company the first time. Can my child come to the doctor without me? A parent or legal guardian must accompany patients who are minors. Occasionally, other responsible adults (such as a grandparent) may need to bring a child for a visit. In such cases we will need written authorization to provide medical attention to the patient. The accompanying adult is responsible for payment of the account, according to the policy outlined. Why do I have to pay before a doctor sees me? There are many reasons why we require payment before you are able to see the doctor. The two most notable reasons are: (1)it speeds up the checking out process once your visit is done, and (2) we can be assured of receiving payment. What do I do if I think there is a mistake on my bill? We do not send bills showing insurance balances. If you receive a bill it is because we show you owe the money personally. 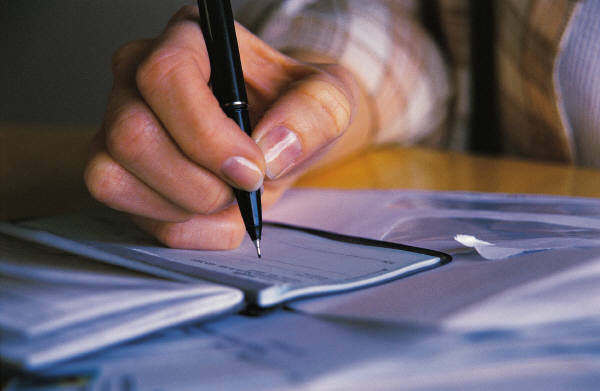 If you ever receive a bill and do not understand it or do not agree with it, give us a call. We will get you in touch with our billing department who will gladly go over your account with you. In the event of a mistake, it may take a few days to resolve the problem. When we have a resolution we will notify you either by phone or by letter. Why do you bill more than my insurance will pay? We deal with hundreds of insurance companies. Each one has their own fee schedule, that is, the amount they will reimburse (or pay) for a particular charge. Because we deal with so many fee schedules it makes sense to charge one fee and adjust your account based on the reply from your insurance company. With most plans we either have a contract (that binds us to a particular fee schedule) or we “accept assignment,” which means we will accept whatever they say is allowable. In a few cases we do not accept assignment. In these cases we post the insurance’s payment to the patients account then bill the patient for the remainder. Why did I get a bill when I have insurance? You may have received a bill from us simply because your insurance has applied our service fees to your deductible or to coinsurance. If this is the case please pay your bill within 14 days of the receipt of your bill. Your insurance company may be asking questions to which we cannot provide the answer. Usually these questions have to do with things like “do you have other insurance coverage” or “what was the cause of an injury.” When you get such a response you must reply to your insurance company. These balances will remain your responsibility until either you pay or your insurance pays. Please do not ignore these requests. Your bill is due within 14 days of its receipt. You may be getting a bill because we have incomplete or inaccurate information, or because we have had no response (payment) from your insurance company within a reasonable amount of time. You bear the responsibility of making sure all of our information about you is accurate and up-to-date. This would include information such as your name as it appears on your insurance card, your address and telephone number, where you work and your insurance coverage. Please never ignore a bill. All bills are due within 14 days of their receipt. What if the account is not paid? We want to be understanding and cooperative with everyone in paying their medical bill. If necessary, the staff in the Insurance and Billing Office, along with management, will work with you in setting up payment arrangements. However, for those patients who do not fulfill their obligations, it will be considered in everyone’s best interest for those accounts to be referred to a collection agency. Most patients sent to collections are simultaneously discharged from the practice.